We have joined the No Hate Speech Movement and No Hate Speech Movement Ireland‘s campaign for July 22nd, the day of the attacks on Oslo and Utøya in Norway, to be marked as a European Day for Victims of Hate Crime. 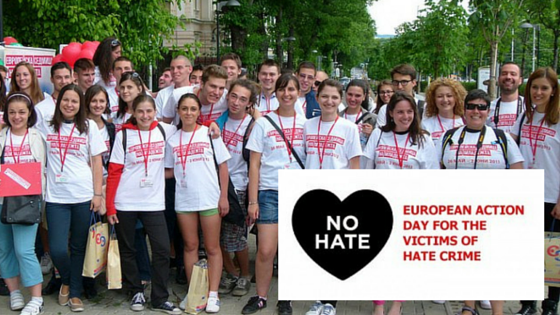 The purpose is to establish a European Day on 22 July as a means to give recognition to the problem of hate crime in Europe, to give voice to the victims and targets, to express solidarity and re-affirm commitment to monitor, to enforce the law and to educate and raise awareness so that such crimes are condemned and prevented. The initiative has received the support of the Support Group of the Victims of 22 July, the Norwegian Parliament and the Parliamentary Assembly of the Council of Europe. You can read the details of the idea and the concept of the European Day here. 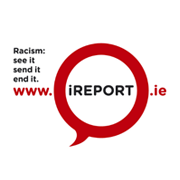 Additionally, we believe that this campaign can help us keep the hate crime on the media, political and public agenda after the recent ICCL launch of proposed hate crime legislation based on research by the University of Limerick’s Hate and Hostility Research Group. Sign and promote the PETITION for the official recognition ofEuropean Day for Victims of Hate Crime on 22 July. The aim is to show that behind the statistics there are real people and through them to raise public awareness on the size of the problem. The stories can be shared directly by the victims or through organisations working with them. The collected stories will be shared online on the No Hate Speech Movement platform at its social media. Click here for the guidelines. EMAIL – here is a sample text of a letter that you can email. ON FACEBOOK: Share this general callout on our Facebook page with politicians you know. PETITION: Share and tweet the petition on your social media. Always use #nohatespeech so we can retweet you. ADD A BADGE: how your solidarity with victims of hate crime by adding the black heart badge to your profile or change the picture to the black heart (click to download the picture). The No Hate Speech Movement provides the following guidelines as recommendations for organising local or national offline actions in support of the European Action Day for Victims of Hate Crime on the 22nd July.